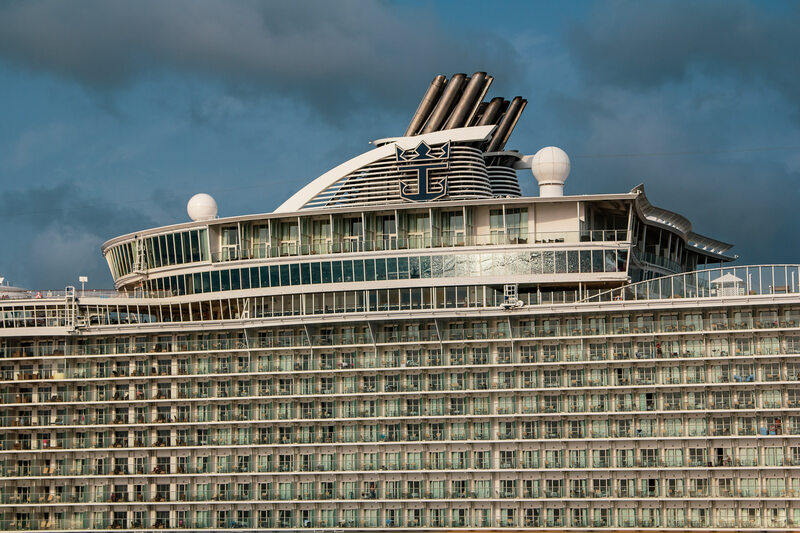 Detail of the cruise ship Allure of the Seas, spotted while docked in Cozumel, Mexico. 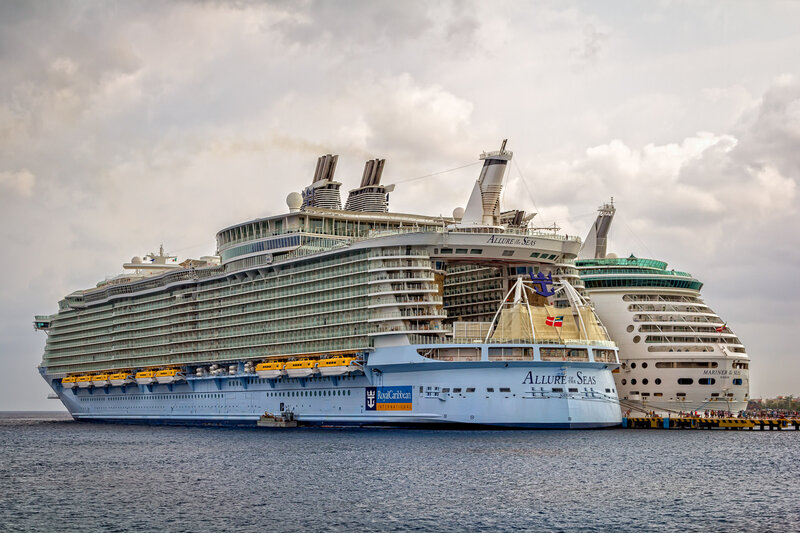 The Royal Caribbean cruise ships Allure of the Seas and Mariner of the Seas docked at Cozumel, Mexico on an overcast day. 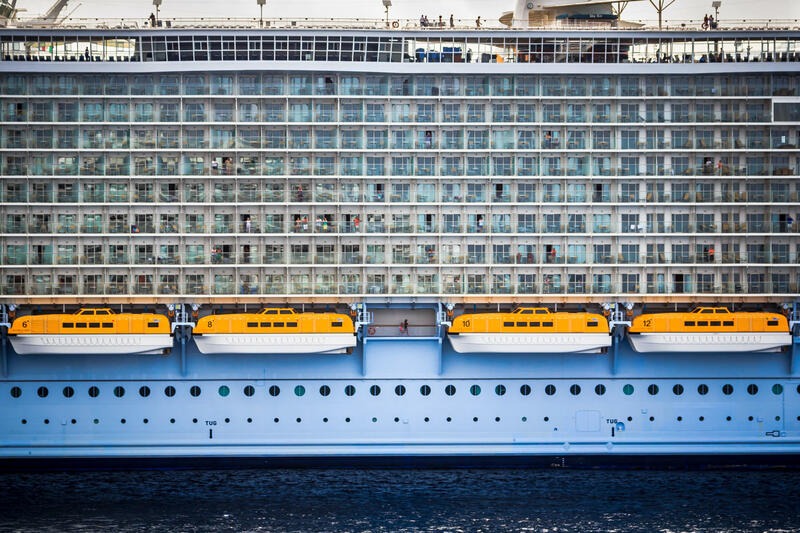 Detail of Royal Caribbean’s Allure of the Seas—the largest passenger ship ever built—while docked in Cozumel, Mexico.